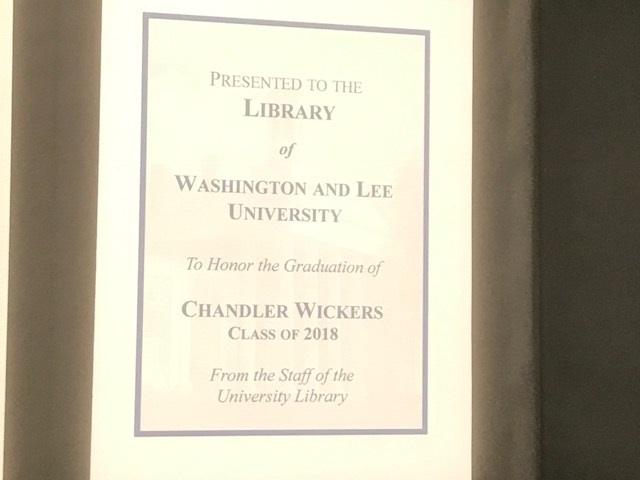 The Washington and Lee University Library attempts to maintain a reasonably comprehensive collection of books relating directly to George Washington, Robert E. Lee, their families, and, of course, the history of W&L itself. This effort might be even more important then ever, given the emphasis on study of the institution’s history in the recently-released Report of the Commission on Institutional History and Community (now available through our Digital Archive). Following is a list of books published in 2018 and added to the library collection in the first half of the year. As of early July, some of these books are not yet available for public use. Please click on the title links below to the Primo database to check locations and availability. Creator: Rosenberg, Charles B., author. Description: “British special agent Jeremiah Black, an officer of the King’s Guard, lands on a lonely beach in the wee hours of the morning in late November 1780. The revolution is in full swing but has become deadlocked. Black is here to change all that. His mission, aided by Loyalists, is to kidnap George Washington and spirit him back to London aboard the HMS Peregrine, a British sloop of war that is waiting closely offshore. Once he lands, though, the “aid by Loyalists” proves problematic because some would prefer just to kill the general outright. Black manages–just–to get Washington aboard the Peregrine, which sails away. Upon their arrival in London, Washington is imprisoned in the Tower to await trial on charges of high treason. England’s most famous barristers seek to represent him but he insists on using an American. He chooses Abraham Hobhouse, an American-born barrister with an English wife–a man who doesn’t really need the work and thinks the “career-building” case will be easily resolved through a settlement of the revolution and Washington’s release. But as greater political and military forces swirl around them and peace seems ever more distant, Hobhouse finds that he is the only thing keeping Washington from the hangman’s noose. Drawing inspiration from a rumored kidnapping plot hatched in 1776 by a member of Washington’s own Commander-in-Chief Guard, Charles Rosenberg has written a compelling novel that envisions what would take place if the leader of America’s fledgling rebellion were taken from the nation at the height of the war, imperiling any chance of victory.”–Amazon. Contributor: Lee Chapel (Washington and Lee University). ;Hinely, W. Patrick, photographer. Description: In September 1865, five months after his surrender at Appomattox that effectively ended the Civil War, Robert E. Lee came to Lexington, Virginia, to begin a new life, to rebuild Washington College that had called him as its president, and to restore what peace and prosperity he could to a nation devastated by the most brutal conflict in its history. After one year, he had succeeded so well on his first two goals that, regarding the second, the college quickly outgrew its facilities. Lee called for a new chapel large enough to allow the growing faculty and student body to meet together for religious and academic gatherings. By June 1868, it was finished. Two years later, Lee died. He was interred in that building. At the same time, the college renamed itself Washington and Lee University. Over the 150 years of its existence, the association between Lee and the structure he was responsible for creating made it more than another college building. It has been used for many purposes: a place for celebrations, lectures, and academic assemblies; a mausoleum, shrine, museum, and even a place of pilgrimage. 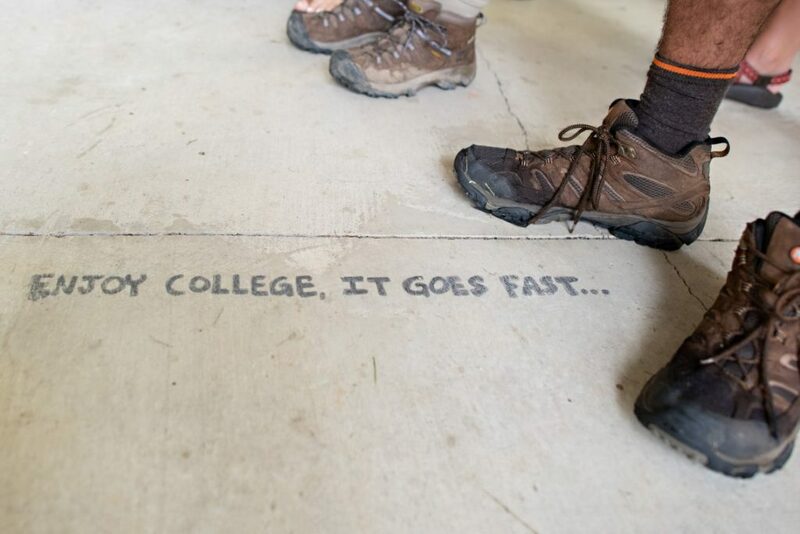 For some, it is the “heart” of the university. — Publisher. Contents: Acknowledgments — Prologue — 1. Washington College and Lee — 2. Lee builds a chapel — 3. Honoring the “Restorer of our beloved college”: church to mausoleum to shrine — 4. The “Ebb years” — 5. Charles Francis Adams and the Lee Centennial — 6. President Smith’s great idea: The great chapel controversy, Part I — 7. “Keep it a holy shrine”: the great chapel controversy, Part II — 8. An “Architectural monstrosity”: the great chapel controversy, Part III — 9. Adorning the chapel — 10. Ford to the rescue: the 1960s renovation and its heritage — 11. Shifting visions — Endnotes. Creator: Van Lente, Fred, author. Genre: Biography;Juvenile literature. ;Cartoons and comics. Description: We all know that George Washington was our first president and a hero of the American Revolution. But did you also know that he didn’t want to be president, never thought he would fight in a war, and had teeth so bad that he hated to smile? Told through bold and hilarious comic-style illustrations, the first Action Presidents book features the all-too-true history of the ultimate Founding Father, prime patriot, and awesome American George Washington. Description: “In this beautifully illustrated book, children will learn the epic story of George Washington, the father of our country, and be inspired by his strong faith, character, and courage. 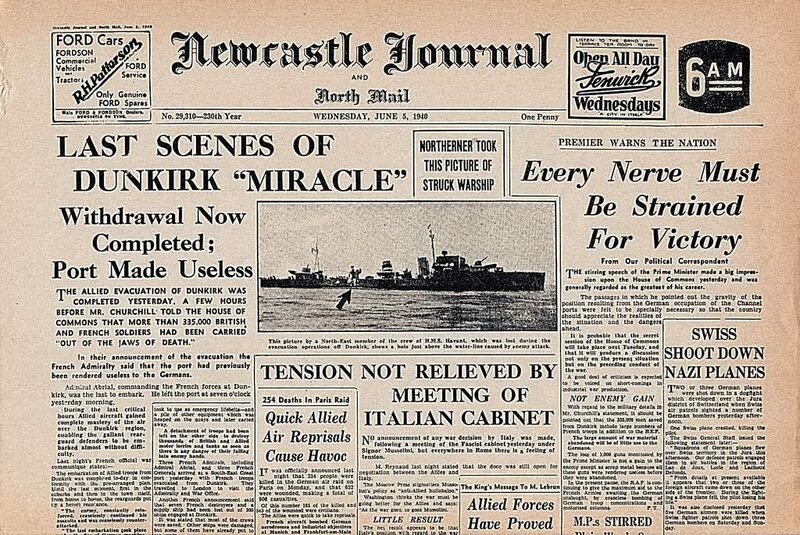 They will discover that the animating force of his heroic life was a deep, abiding faith and trust in God. Captivatingly illustrated with lovely water colors, this book begins with interesting facts about Washington’s ancestors, who had been involved with important key moments in British history, and the story of his forefathers who then came to the United States. We learn about the life of young George growing up in Virginia and how he developed the skills needed for farming, hunting, horse riding and self-defense. It shows how he was devoutly religious from the time of his youth. It tells about his great military career and leadership, with many heroic moments in battles, capped by leading the Continental Army to victory in the Revolutionary War for America’s independence. And then bringing unity, strength and growth to our new country with his being elected as America’s first President.” — ONIX annotation. Contributor: Simpson, W. L., author. Contents: Practice to Deceive — A Second Fabius — Hanging in the Balance — “Such an Army, So Well Appointed” — Glory and Danger Alike — Flying on “Canvas Wings” — Allies and Traitors — Point of Decision: North or South? — Washington’s Confession — Washington’s Sound and Light Show — Washington’s Boffo Performance — The Great Mailbag Caper — End of the Southern Campaign — In Quest of Adventure — Their Lordships Confer — White Flag over Yorktown — Epilogue — Bibliography — The Americans — The British — The French — British Forces in America. Creator: Stark, Peter, 1954- author. Description: A new, brash, and unexpected view of the president we thought we knew, from the bestselling author of Astoria. Two decades before he led America to independence, George Washington was a flailing young soldier serving the British Empire in the vast wilderness of the Ohio Valley. Naive and self-absorbed, the twenty-two-year-old officer accidentally ignited the French and Indian War–a conflict that opened colonists to the possibility of an American Revolution. With powerful narrative drive and vivid writing, Young Washington recounts the wilderness trials, controversial battles, and emotional entanglements that transformed Washington from a temperamental striver into a mature leader. Enduring terrifying summer storms and subzero winters imparted resilience and self-reliance, helping prepare him for what he would one day face at Valley Forge. Leading the Virginia troops into battle taught him to set aside his own relentless ambitions and stand in solidarity with those who looked to him for leadership. Negotiating military strategy with British and colonial allies honed his diplomatic skills. And thwarted in his obsessive, youthful love for one woman, he grew to cultivate deeper, enduring relationships. By weaving together Washington’s harrowing wilderness adventures and a broader historical context, Young Washington offers new insights into the dramatic years that shaped the man who shaped a nation. Lost Indictment of Robert E. Lee : The Forgotten Case Against an American Icon. Description: Immediately after the Civil War, many Northerners believed Lee should be hanged for treason and war crimes. Americans will be surprised to learn that in June of 1865 Robert E. Lee was indicted for treason by a Norfolk, Virginia grand jury. The Lost Indictment of Robert E. Lee tells the story of the forgotten legal and moral case that was made against the Confederate general after the Civil War. The actual indictment went missing for 72 years. Over the past 150 years, the indictment against Lee after the war has both literally and figuratively disappeared from our national consciousness. In this book, Civil War historian John Reeves illuminates the incredible turnaround in attitudes towards the defeated general by examining the evolving case against him from 1865 to 1870 and beyond. Description: “The recently widowed ‘Mother of America’ lies helpless in her Mount Vernon bed, ravaged by illness and cared for by the very slaves that will be free the moment she dies. As she begins to slip away, she falls deep into a fever dream of terrifying theatricality that investigates everything from her family to her historical legacy”–Back cover. Publisher: New York : Dramatists Play Service, Inc. Description: This book traces the history of the development, abandonment, and eventual revival of George Washington’s original vision for a grand national capital on the Potomac. ‘George Washington’s Washington’ is not simply a history of the city during the first president’s life but a history of his vision for the national capital and of the local and national conflicts surrounding this vision’s acceptance and implementation. Contents: Grand visions and financial disasters — Dreams of metropolis — Speculating in failure — A boomtown without a boom — A “federal town” on the Potomac — Jeffersonians and the federal city — The limits of local control — Making the capital national, 1814-1828 — Saving and rebuilding Washington — Striving to be a national city — The seat of a continental empire — A symbolic national capital — Federal intervention. Creator: Calloway, Colin G. (Colin Gordon), 1953- author. Description: “An authoritative, sweeping, and fresh new biography of the nation’s first president, Colin G. Calloway’s book reveals fully the dimensions and depths of George Washington’s relations with the First Americans.” — Provided by publisher. Contents: Learning curves — Virginia’s Indian country — The Ohio Company and the Ohio Country — Into Tanaghrisson’s world — Tanaghrisson’s war — Braddock and the limits of empire — Frontier defense and a Cherokee alliance — Frontier advance and a Cherokee war — The other revolution — Confronting the Indian boundary — “A good deal of land.” — The question of Indian allies — Town destroyer — Killing Crawford — Building a nation on Indian land — The first President and the first Americans — An Indian policy for the new nation — Courting McGillivray — The greatest Indian victory — Philadelphia Indian diplomacy — Achieving empire — Transforming Indian lives — A death and a non-death. 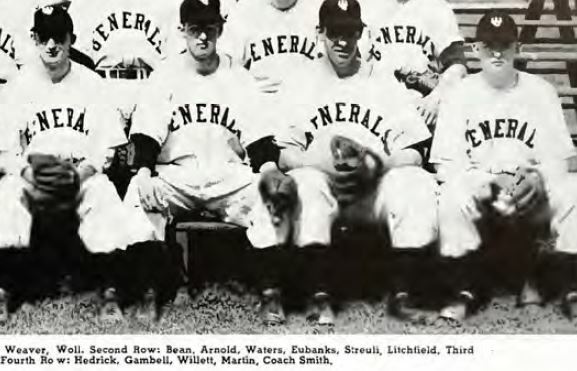 If you are interested in seeing this precursor to the “swimsuit issue” and the modern U.S. sports journalism industry, the Washington and Lee University Library can help. 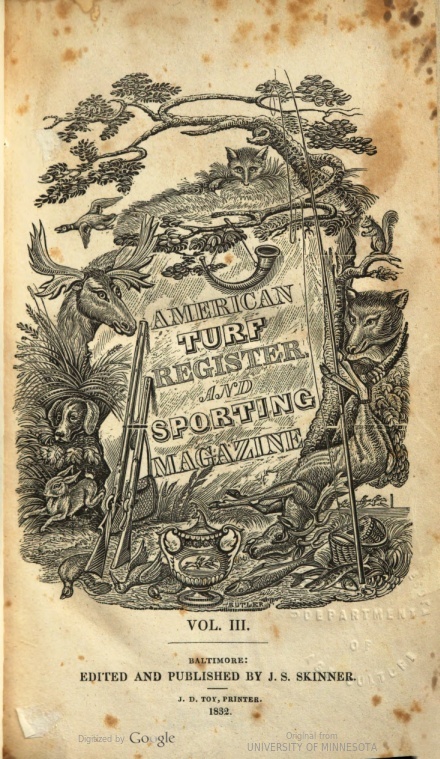 We have a few printed issues of American Turf Register in Special Collections and the entire run of the magazine is available online through one of our databases. You also can page through the series via the online HathiTrust database. 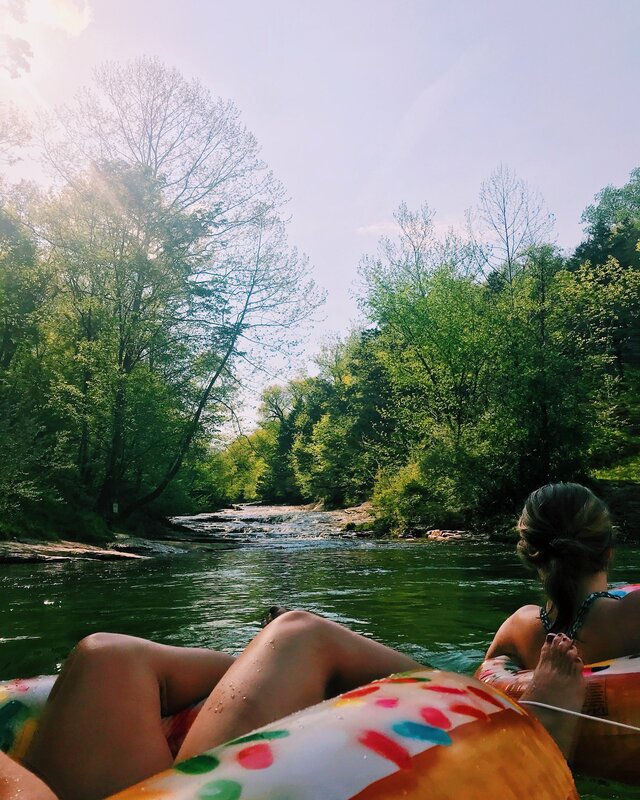 Of local interest: The very first issue of the magazine included an article entitled “Washington: A Sportsman,” written by George W. P. Custis, from his Recollections and Private Memoirs of Washington. George, that is. Martin Luther King was assassinated on 4 April 1968. What did Washington and Lee University media have to say about this event and the aftermath? We can point to two noteworthy issues of the student newspaper the Ring Tum Phi. 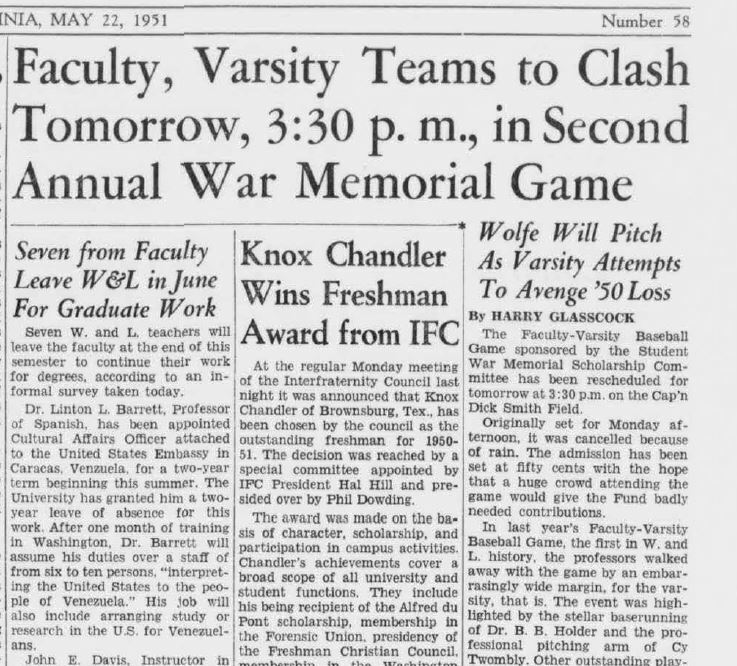 The 12 April 1968 issue, published one week after the event, included a very thoughtful editorial on page 2 entitled “Seven Years,” in which the author described a memorial service on campus, one which took place “on the very anniversary of the day Lee surrendered, and over Lee’s own tomb…” The writer goes on to note that “only seven years ago” the Board of Trustees refused to allow Dr. King to speak at W&L. Two weeks later, in the 26 April 1968 issue (page 2), a student named Pleas Geyer wrote of his attendance at Dr. King’s funeral in Atlanta. Two other articles on the same page addressed “racial tension” and integration at the University. The links above (accessible to current students, faculty, and staff from both on- and off-campus locations) take a reader to the University Library’s Digital Archive collection of the Ring Tum Phi . Interesting note: The name “Martin Luther King” appears in 121 issues of the Phi from 1961 to 2013. One final retrospective view of W&L is available in the 1968 Calyx , the official student yearbook. Any dictionary worth its salt (and where did that come from?) needs to keep growing. The Washington and Lee University Library subscribes to the online sites of the two preeminent dictionaries of the English language and both of them recently revealed extensive additions to their empires of words. Merriam-Webster Unabridged, the contemporary heir to Noah Webster’s American Dictionary of the English Language, is our most comprehensive guide to terminology in the modern English-language , at least, that of the American variety. This database recently was enhanced by the addition of about 850 words and definitions, including glamping, dumpster fire, and mansplain. This site also keeps tabs on the entries most often consulted in its collection; it should not be surprising that pi was heavily viewed around 3/14/18 and that Ides trended the next day. The world’s preeminent etymological dictionary, the Oxford English Dictionary, is focused on documenting the history of English-language words, so their “new” words probably are not likely newly-born in 2017-18. Still, the OED‘s research into where words came from and how they have changed in meaning and/or spelling continues, with their latest list of new/old words and definitions including ransomware, footsie, and the intriguing diaper cake. Certainly, both resources are worth their salt.